Men! 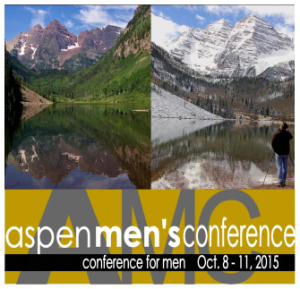 Join us as we lead worship at this year’s Aspen Men’s Conference – October 8 – 11, 2015, in Colorado. The conference is presented by Cornerstone Church of Glenview, Illinois. This year’s theme is Marks of a Man of God, and Dr. John Fuder returns as our teacher. Dr. Fuder is director of justice and compassion ministries of Resource Global and the director of city engagement for Park Community Church (Chicago). ‘Doc’ Fuder served in urban ministry for 15 years in California and was the professor of urban studies at Moody Theological Seminary in Chicago for 17 years. He and his wife, Nellie, have three children and a granddaughter and live on Chicago’s North side.